Logo: Richmond Tigers logo with New Era stitched logo on side front panel. Fly your own flag with the new 2019 curved brim baseball cap from New Era. Underside of Brim Colour: Yellow. Aqua Footwear. Size: Youth. 39THIRTY Cap features an embroidered team logo on front, stitched New Era flag at wearer's left side and embroidered logo on the rear. Stretch fit on closed back. Logo: Stitched Adelaide Strikers logo with New Era stitched logo on side front panel. Fly your own flag with the new 2018 curved brim baseball cap from New Era. Underside of Brim Colour: Grey. Aqua Footwear. 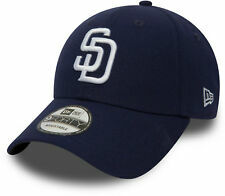 New Era 9Forty MLB The League Adjustable Baseball Cap.Navy with the San Diego Padres front logo,the N ew Era side logo, and the PADRES rea r strap logo. Style Baseball Cap. (See below). International Del ivery Options. 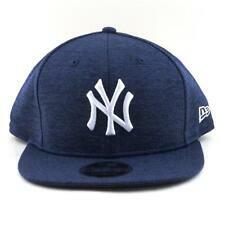 Prove your allegiance to the New York Yankees in this special 9FORTY trucker cap. Black Yankees logo to front. All over midnight camo print. New Era flag to side. Unstructured crown with curved visor. New Era 9Forty MLB The League Adjustable Baseball Cap.White with the Baltimore Orioles front logo,the N ew Era side logo, the Orioles r ea r strap logo, and the Orange Visor with the Black underside. Classic New Era NBA Snapback Hat. High Profile, Match Air Jordan 10 Teal Purple. Grey Colorway Underneath Brim of Hat. New Era Embroidered side Logo. Most orders will Require adult signature. The designs were inspired by hip-hop, skate and graffiti subcultures. Classic New Era NBA Snapback Hat. High Profile, NBA Official 2 Tone color Cap. NBA Authenticity Sticker Under the Brim. NBA Embroidered graphics on the back. Grey Colorway Underneath Brim of Hat. New Era Embroidered side Logo. 3D embroidered Oakland Raiders logo on front. Camo fabric on Cap. 3D embroidered New Era logo on side. Trucker style. Flexible fastening. High Profile, Teal Purple 2Tone Colo Cap. Classic New Era NBA 950 Snapback Hat. Grey Colorway Underneath Brim of Hat. Original Fit Hat Shape. New Era Embroidered side Logo. Has a thick, Durable Panel Material. Classic 9Fifty MLB Snapback Hat. High Profile, Match Air Jordan 11 Midnight navy. MLB Authenticity Sticker Under the Brim. Grey Colorway Underneath Brim of Hat. Most orders will Require adult signature. Classic MLB Snapback Hat. High Profile, National League Patch. MLB Authenticity Sticker Under the Brim. Grey Colorway Underneath Brim of Hat. Has a thick, Durable Panel Material. 6 Panel Construction. The Avengers Iron Man. Style Ball Cap. Size 7 1/4. Color Red and Gold. High Profile,matches Air Jordan 11 Barons. Classic New Era 9FIfty NBA Snapback Hat. NBA Authenticity Sticker Under the Brim. Black Colorway Underneath Brim of Hat. Most orders will Require adult signature. New Era 9Forty Toronto Blue Jays The League Adjustable Baseball Cap.Blue with the Blue Jays front logo,the N ew Era side logo, and the Blue Jays rea r strap logo. Style Baseball Cap. Main Colour Blue. Fly your own flag with the new 2018 flat brim baseball cap from New Era. Aqua Footwear. Underside of Brim Colour: Orange. Rugby Union. Style:6-panel snapback adjustable cap, with a high structured crown. In the process, thicker threads are integrated into the otherwise thinner fabric at a distance. Embroidered 3D Team Logo. Classic New Era NBA 950 Snapback Hat. Grey Colorway Underneath Brim of Hat. Material: 100% Polyester / 100% P.U Visor. The designs were inspired by hip-hop, skate and graffiti subcultures. It is devoted to providing contemporary apparel with anyone with style, character and creativity. Classic NBA Snapback Hat. Grey Colorway Underneath Brim of Hat. Most orders will Require adult signature. Generally Fit up to 7 3/4's (Fitted Size). Premium Quality, Comfortable Fit. Style Baseball Cap. High Profile, Solid Blue Dom Basic Cap. Classic New Era MLB 950 Snapback Hat. Grey Colorway Underneath Brim of Hat. MLB Authenticity Sticker Under the Brim. New Era Embroidered side Logo. Most orders will Require adult signature. Classic NFL Snapback Hat. Grey Colorway Underneath Brim of Hat. NFL Authenticity Sticker Under the Brim. Has a thick, Durable Panel Material. 6 Panel Construction. Most orders will Require adult signature. Cooperstown Classic Side Patch. Classic New era 9Fifty Snapback Hat. MLB Authenticity Sticker Under the Brim. Teal blue Colorway Underneath Brim of Hat. Has a thick, Durable Panel Material. 6 Panel Construction.